Posted March 22, 2019 & filed under Blog, Education, News. 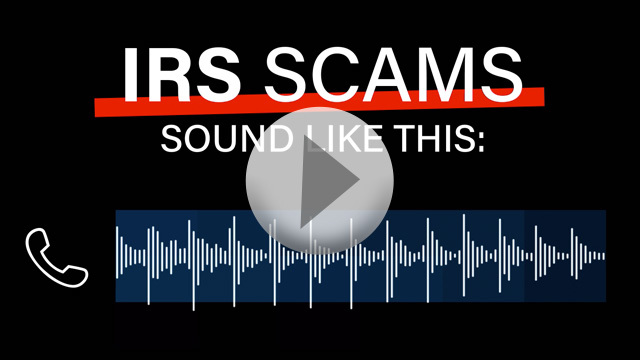 The FTC worked with AARP to create a series of videos about imposter scams – including IRS imposters, Medicare scams, and robocalls. While the videos are aimed at older Asian Americans and Pacific Islanders, the tips apply to everyone. Last week, we highlighted Medicare scams; this week, it’s IRS imposters. Next week, stay tuned for robocalls. Hang up. Don’t give personal or financial information to someone claiming to be from the IRS. If in doubt, call the IRS directly at 1-800-428-1040. Don’t send money by wire transfer, prepaid card or gift card to someone claiming to be from the IRS. That’s a scam. The IRS will not require a specific type of payment. Report the call. Report phony IRS calls to the Treasury Inspector General for Tax Administration (TIGTA) at tigta.gov or to the FTC at ftc.gov/complaint. The more we hear from you, the more we can help fight scams. Tell your community. Let your family and friends know about IRS imposters. For more information about stopping imposter scams, visit ftc.gov/imposters. And to learn about how to stop unwanted calls, including using call blocking technology, go to ftc.gov/calls.